Leadership can be defined at multiple levels and can be scaled up and down. 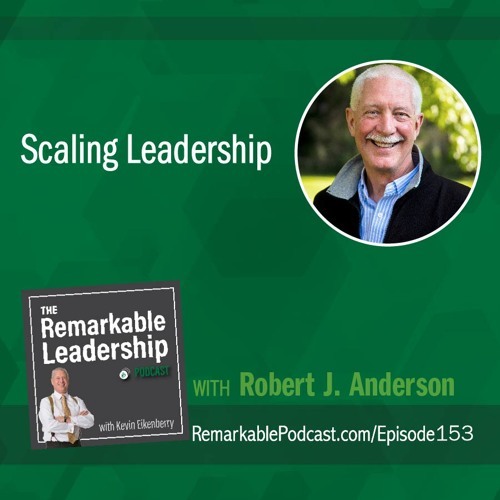 Bob Anderson is the co-author of Mastering Leadership and his new book, Scaling Leadership. He joins Kevin to talk about the research and findings which led to the latest book. Using a database of senior leaders providing 360-degree written feedback to fellow senior leaders, he and Bill Anderson look at the qualitative data. They look at the descriptions leaders use to define effective leadership and create a leadership framework. Using the lessons learned, an individual can develop their leadership at scale in their organization to improve performance.